Nearly three dozen whistleblowers have come forward saying the VA Medical Center in Cincinnati is in a state of disorder. They say veterans are not getting the care they need in the backyard of Secretary of Veterans Affairs Bob McDonald, the former chief executive of Cincinnati-based Procter & Gamble Co. Since October, a team of Scripps reporters has been talking to a group of 34 current and former medical center staff members. The group, including 18 doctors from several departments, sent an unsigned letter to McDonald in September describing "urgent concerns about quality of care" at the facility, which serves more than 40,000 area veterans. They allege a pattern of cost cutting that forced out experienced surgeons, reduced access to care and put patients in harm's way. At the center of the controversy are Dr. Barbara Temeck, acting chief of staff for the Cincinnati VA Medical Center, and Jack Hetrick, the Department of Veterans Affairs' regional director. The VA has launched one investigation and requested the Office of Inspector General open an additional independent investigation. The VA also temporarily removed oversight authority of the Cincinnati hospital from Hetrick, the highest-ranking VA official in Ohio, Michigan and Indiana. The agency did this "to ensure no conflict of interest." The Cincinnati VA is reporting to a Pittsburgh-based regional director while the investigations proceed. The findings of a joint investigation by the Scripps News Washington Bureau and WCPO triggered the federal probes. Several local veterans described long delays and substandard care during Dr. Temeck's tenure. Ted Dickey, a 72-year-old Vietnam veteran, had depended on the Cincinnati VA for care for some 30 years. When the VA told Dickey he needed a hip replacement last May, instead of treating him, they gave him a referral and showed him the door. He was told there were no longer hip surgeons on staff. "They don't know how to run a hospital," Dickey said. "Their way of running a hospital is not doing surgery and farming it out." Dr. Temeck declined to comment for this story. Mr. Hetrick walked out of an interview after praising the Cincinnati hospital for overcoming "resource challenges" and improving quality. "I've worked very closely with them to make sure we get them back on track," he said. "I wanted to make sure that this organization was set solid for the future. I think we're there." The hospital has consistently received four or five stars, which are the highest ratings by the VA.
Services to veterans have been reduced, including spine and orthopedic surgeries, along with customized prosthetic services for artificial limbs. Dr. Temeck prescribed controlled substances, including hydrocodone and a generic form of Valium, to Mrs. Hetrick, the wife of her regional boss, Jack Hetrick. State and federal authorities confirm Dr. Temeck does not have a valid controlled substances license that would allow her to write prescriptions privately for Mrs. Hetrick. Dr. Temeck cut around-the-clock staffing by emergency airway specialists to save money, resulting in at least one close call involving a patient who could not breathe. Dr. Temeck told operating-room staff they were being "too picky" when they reported surgical instruments delivered to operating rooms with blood and bone chips from previous surgeries. Dr. Temeck is paid separately as a VA administrator and cardiothoracic surgeon. But whistleblowers say she has never served as the operating surgeon since coming to Cincinnati. The nearly three dozen whistleblowers have been voicing their concerns for the better part of a year, including meeting in person with regional director Hetrick and reaching out to members of Congress and Secretary McDonald. They say little has been done to remedy the problems. The chairman of the House Committee on Veterans Affairs, Florida Republican Jeff Miller, said his staff has been talking to Cincinnati whistleblowers, but he wanted to give McDonald some time to address the issues they raised. "If in fact this is true, I would hope the secretary will take it seriously because if he doesn't, we'll examine it from the committee standpoint," Miller said. Three longtime employees of the Cincinnati VA agreed to go public with their concerns because they believe hospital leaders are no longer acting in the best interest of veterans. Their public comments reflect the private concerns of dozens of doctors and nurses who also agreed to be interviewed and provided documents but asked not to be named for fear of retaliation. "This was a model hospital," said Dr. Richard Freiberg, former chief of orthopedics for the Cincinnati VA.
"We were serving veterans with almost every imaginable problem and doing state-of-the-art care. Now, we're unable to care for almost all of them." He recounted that shortly after Dr. Temeck came to Cincinnati, she called a sudden meeting of the hospital's full-time total joint surgeons: "We were told that we were going to be reduced to one full time between the three of us." Dr. Freiberg ended his VA employment in October, frustrated by cuts that rendered the hospital unable to do complex joint replacements for hips, knees and shoulders. He continues to volunteer for the facility. "Things I've observed at the Cincinnati VA are just not up to standard," said Mike Brooks, a certified registered nurse anesthetist who joined the VA after a 24-year Navy career that began when he was 17. Brooks is a shop steward for the national nurses union and began working in Cincinnati in 2008. "It bothers me because I know the veterans who deserve the best care we can give them are being put at risk." Susan Ware is a nurse practitioner who decided to speak publicly because of the dismantling of a neurosurgery practice that treated 686 patients in 2013 and now refers all brain and nervous-system procedures elsewhere. Ware worked in neurosurgery for 16 years. "What's happening at the Cincinnati VA is sad," she said. "There is a reason why the VA exists and there's a reason veterans want to come to the VA. And it's being ignored." Ware said she and other employees started complaining about Dr. Temeck's management decisions more than a year ago, but the regional director Jack Hetrick took no action. "It seems that Mr. Hetrick supports her," Ware said, "despite the knowledge that he has about how unhappy the staff is." Mr. Hetrick and Dr. Temeck have a work relationship that dates back to at least 2002. He was the director of the Edward Hines Jr. VA near Chicago and Dr. Temeck was the hospital's chief of staff, records show. Both moved on to jobs outside of Illinois, but stayed with the VA. According to documents obtained by Scripps, on Dec. 26, 2012, more than two years after Dr. Temeck left her position in Illinois, she prescribed pain medication for Mr. Hetrick's wife — 50 pills of a generic form of Valium. On May 17, 2013, Dr. Temeck prescribed 100 pills of hydrocodone. This was eight weeks before Dr. Temeck was named Cincinnati's acting chief of staff. Both drugs are labeled controlled substances by the U.S. Drug Enforcement Administration. During an interview, Mr. Hetrick walked out of the room when asked about the prescriptions. "You're not going to engage me," he said. At the time of publication, Mrs. Hetrick's attorney had not responded to requests for comment. Dr. Temeck was working at a VA hospital in South Carolina when the 2013 prescription was written, but she used an Illinois address tied to the VA hospital she had left in 2010 to issue the prescription. Dr. Temeck's Illinois license does not allow her to write prescriptions for controlled substances outside the VA.
Dr. Temeck's authority to prescribe controlled substances in Illinois expired in 2011. State and federal officials told Scripps that Dr. Temeck did not have in 2011, nor does she have now, a valid controlled substance license that would allow her to write prescriptions privately for Mrs. Hetrick. According to medical ethics experts interviewed by Scripps, it poses a conflict of interest for a doctor to provide treatment, particularly controlled substances, for his or her work superior, or their family members. 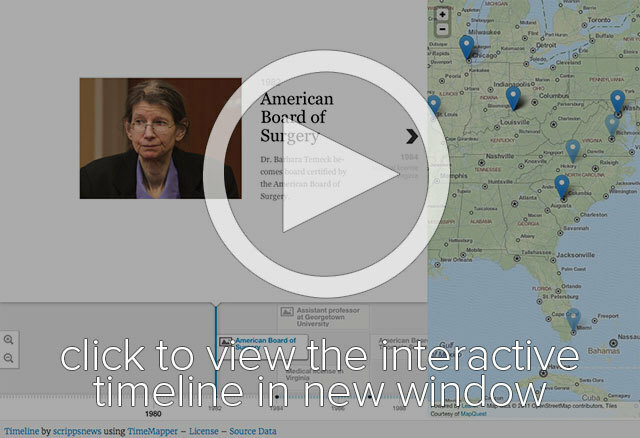 Click to view the interactive timeline in a new window. 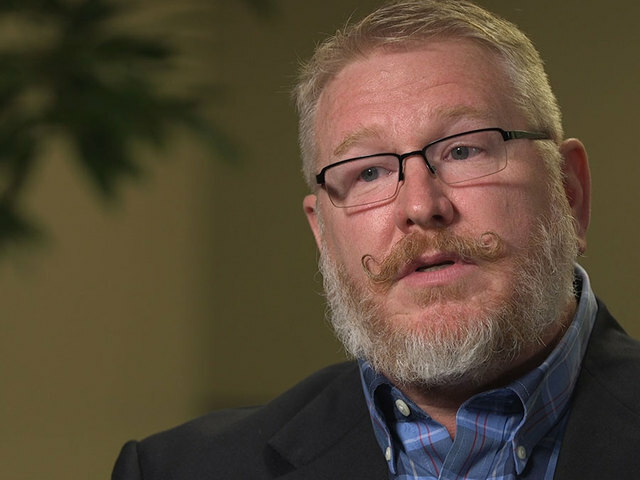 According to a statement from Derek Atkinson, spokesperson for the VA regional network headed by Mr. Hetrick, Dr. Temeck has "an active state medical license in Virginia that includes prescribing controlled substances." An official with the Virginia Department of Health Professions, which regulates the state's doctors and pharmacists, told Scripps that Virginia medical licenses do not include the ability to write prescriptions for controlled substances. "To write controlled substances, the physician must hold a DEA registration," department spokeswoman Diane Powers said. Dr. Temeck has not held a Drug Enforcement Administration controlled substances registration outside the VA system for nearly two decades, the DEA told Scripps. Instead, in recent years she's held what's known as a "limited registration," which allows her to write prescriptions only within VA facilities she's working in. When asked about the prescription matter, Rep. Miller said rules appear to have been broken. "Was the person allowed to receive the prescription? From what I can gather they were not." He added, "I believe that it needs to be fully investigated." As acting chief of staff, Dr. Temeck earns $137,191. According to the VA, Temeck earns an additional $194,343 for her role as a cardiothoracic surgeon, for a total of $331,534. Multiple sources, including those who have been inside the operating room with Dr. Temeck, say she only serves as an assistant and has never worked as the operating surgeon since arriving in Cincinnati. "It's certainly common knowledge in the hospital that she's gaming the system," Dr. Freiberg said. Brooks said it's an "open secret" in the hospital that Dr. Temeck earns the additional salary as a cardiothoracic surgeon for work he has never seen her perform. VA rules allow physicians to receive a "market pay augmentation" in specialties where it's competing with private-sector hospitals for labor talent. The VA handbook says the amount of market pay depends on several factors, including the doctor's level of experience, credentials and accomplishments along with analysis of the local health care labor market. "It's certainly not right by the taxpayer," said Brooks, a certified nurse anesthetist who participated in several surgeries in which he says Dr. Temeck scrubbed in, then assisted in surgery. Sometimes, she holds a retractor, Brooks said, but she never took the lead. A retractor is a medical instrument used for drawing back the edges of an incision. "She's in the room when surgeries happen," he added, "but I can't say I've ever seen her pick up a scalpel and do a surgery." The Cincinnati VA declined to say how many times Dr. Temeck has led a thoracic surgery since joining the hospital staff, but stated her "workload is consistent with other provider(s) in Cincinnati and other facilities of similar complexities." The VA also said Dr. Temeck is "privileged and in good standing" at the Cincinnati VA "and works within the scope of privileges." Bryan Snyder, a supervisory human resources specialist at the hospital, made the case for awarding the permanent chief of staff job to Dr. Temeck, along with a substantial pay raise. According to an internal memo, Snyder sought an exception to let Dr. Temeck exceed the federal salary cap of $385,000 for her role as a cardiothoracic surgeon if she gets the permanent job. "Dr. Temeck has already proved invaluable in the short time she has been detailed to this facility," Snyder wrote. "Her input and assistance have assisted with decision-making and planning and facilitated a 'fresh eyes' approach to the clinical operations of the facility that is transforming several patient services and processes." When Dr. Temeck arrived in 2013, the hospital was paying overtime to nurse anesthetists so they would be available 24 hours a day, seven days a week to handle emergency breathing problems. As a cost-cutting measure, sources say Dr. Temeck replaced that system with a requirement that on-call surgeons perform intubation during off hours. Intubation is the insertion of a plastic tube into a patient's windpipe to assist in breathing. On May 9, 2014, Dr. Temeck was the on-call surgeon when a patient stopped breathing. 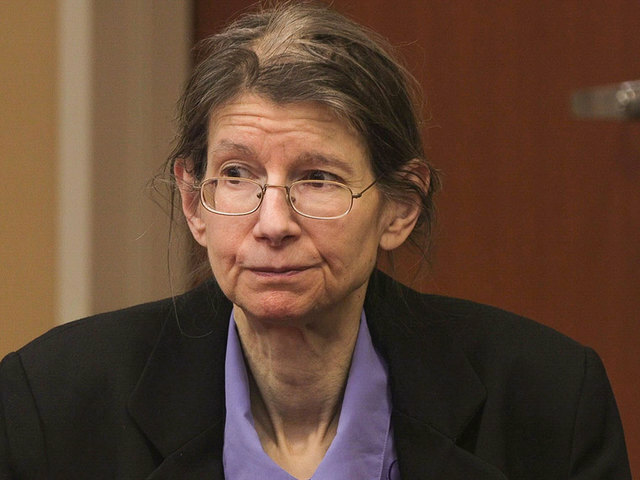 "She had trouble," said Brooks, referring to Dr. Temeck. "She had to call for backup." Others who were involved in the incident confirmed his account. Sources told us the VA's Office of Medical Inspector recently interviewed employees about the incident. 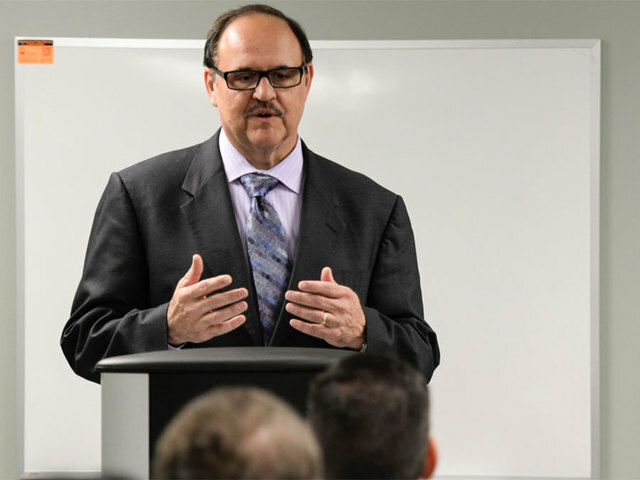 Days after the incident, sources say Dr. Temeck reversed the policy. The Cincinnati VA says it now provides "Certified Registered Nurse Anesthetists coverage 24/7." Brooks and other operating-room staff said one of the most disturbing problems involved contaminated surgical instruments. "I've seen surgical instruments that once we open the sterile pack, they will have pieces of debris, possibly bone or other debris from previous surgeries still on the instrumentation," Brooks said. Instead of committing to better training or spending to hire more certified technicians, Brooks said Dr. Temeck told operating-room staff to stop complaining. She also required them to notify her when they spotted problems so she could inspect the tools before they could be replaced with clean ones. Brooks said surgeries were halted, sometimes with patients cut open, waiting for Dr. Temeck to arrive for an inspection. "She felt that these were all fabrications, that we were making up stories about the instruments not being clean, so she wanted to see for herself," he said. "If she was in another meeting, it could be 20 minutes, half an hour, with the patient under anesthesia." 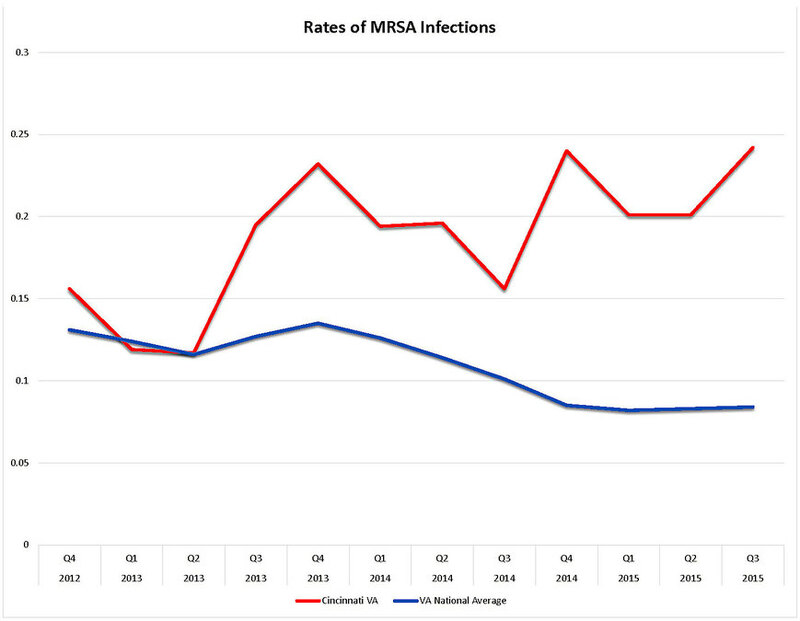 Under Dr. Temeck's tenure at the Cincinnati VA the rate of MRSA infections has increased substantially. The highly contagious, drug-resistant infection is commonly associated with surgeries. According to the most recent publicly available data, Cincinnati now has one of the highest rates of MRSA infections for VA hospitals nationally. Brooks said he and many of the other whistleblowers filed complaints with the U.S. Office of Special Counsel, a federal agency that reviews whistleblower complaints, but does not have independent investigative authority. The agency notified him in May that no action would be taken. Brooks shared the written response he received. "You were unable to provide our office with detailed information regarding the gravity and frequency of the problem," said Olare Nelson, an attorney in the OSC's disclosure unit. "I'm ringing the bell," he said. "I'm letting people know there's an issue here. They continue to say that everything's fine, but we know on the inside that we have an institutional culture that is not promoting safe patient care." Scripps News Washington Bureau and WCPO will continue to report on conditions and factors in the Cincinnati VA and nationwide in the coming days and weeks. If you have a tip for us to investigate or if you're a veteran who wants to share your experience seeking care at any VA hospital in the nation, drop us a line.